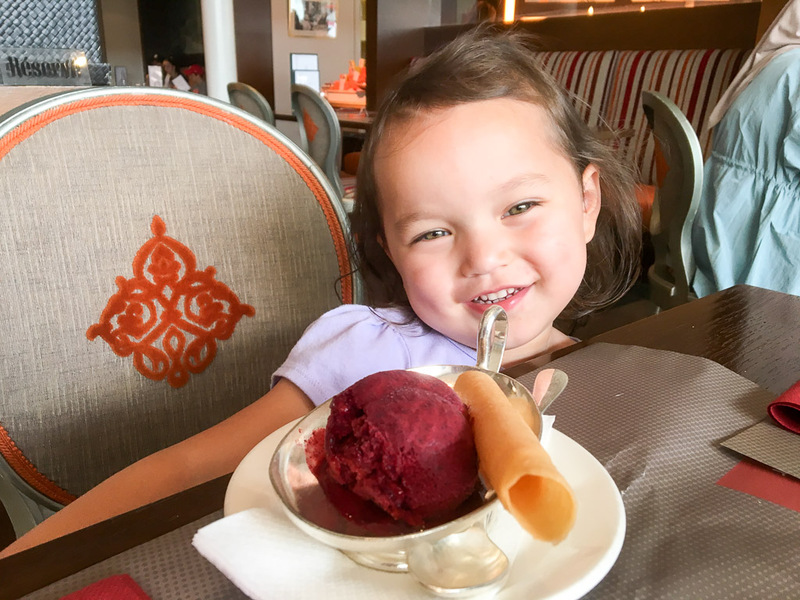 Well, we'll be taking a short break from Europe posts to talk about E's third birthday! E had her actual birthday while we were in Switzerland, which was fun. Actually, so far, she's only had three birthdays, but they've all been in different countries. We'll see if we can keep this up. We painstakingly brought some very well-wrapped toy animals from my parents with us to give to her on her birthday as a gift and then H's parents gave us some money to have a nice birthday lunch. Of course, being three, E picked chicken nuggets and ice cream for her birthday lunch and dessert. But being Switzerland, that still cost us about $80 USD in a cafe. Sheesh. Now you know why we ate bread and cheese from the supermarket in our hotel room for most of our meals in Switzerland. 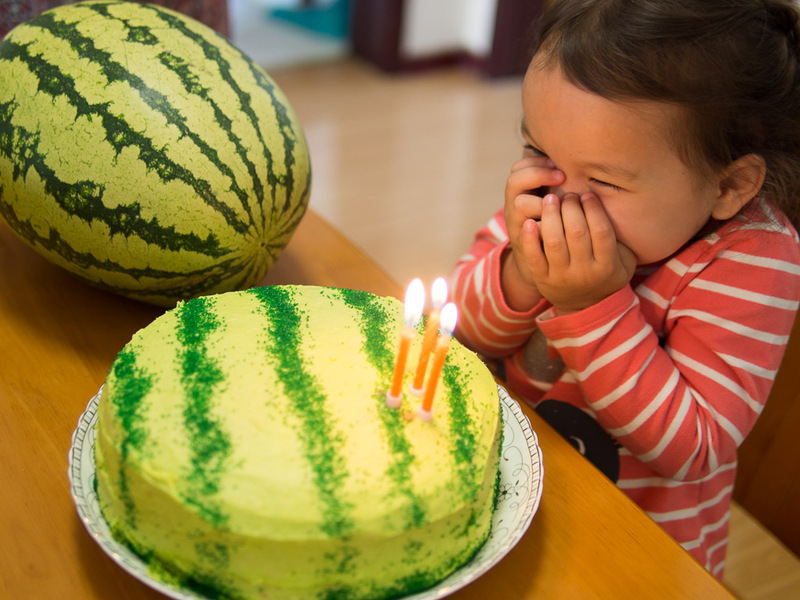 After we got back, we invited another family over for birthday cake and E basically had her second birthday. 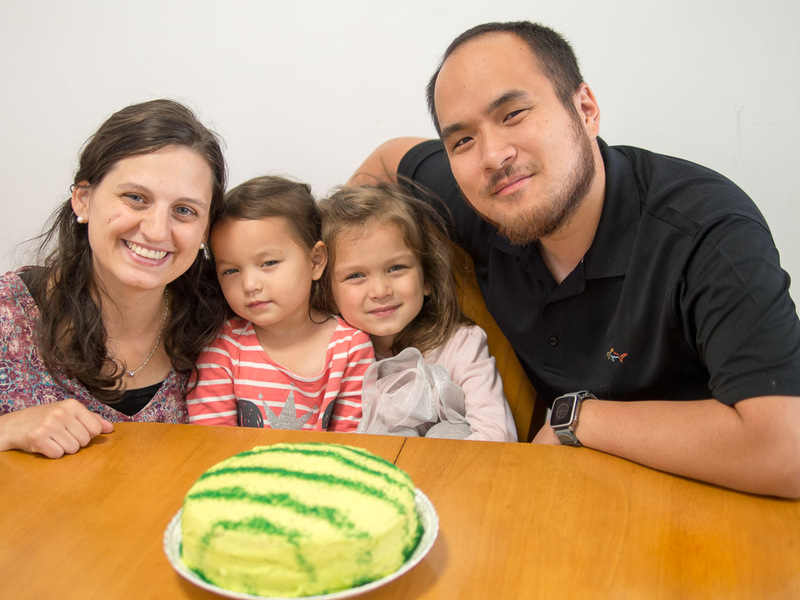 She requested a watermelon cake (H's idea), which turned out much better than I expected. 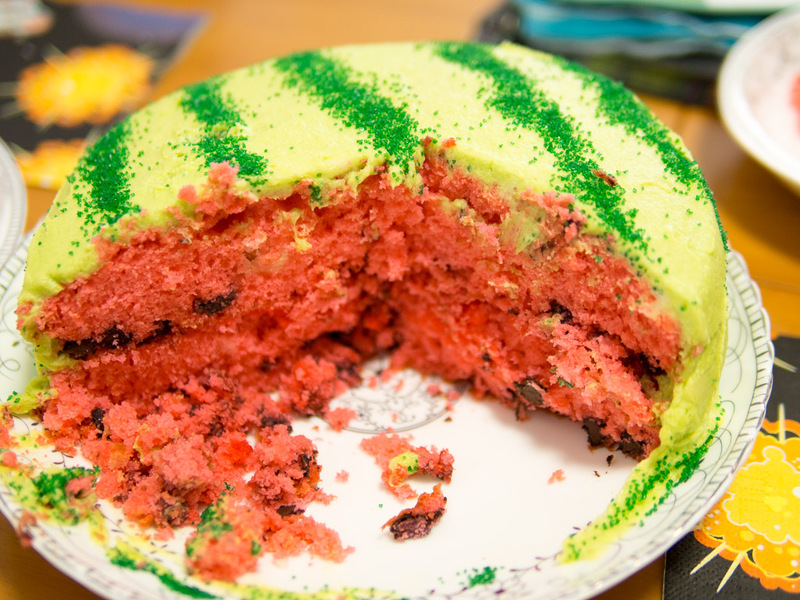 Just white cake with food coloring and green icing with dark green sugar. The kids thought it was awesome.